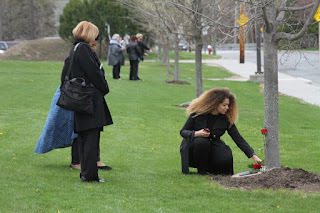 Since 735 BC with the beginning of the Roman Empire, the Latin phrase “In Memoriam” followed by a name has been used to honor one who is deceased. It is also used at the beginning of a play or a book to honor one who has passed. 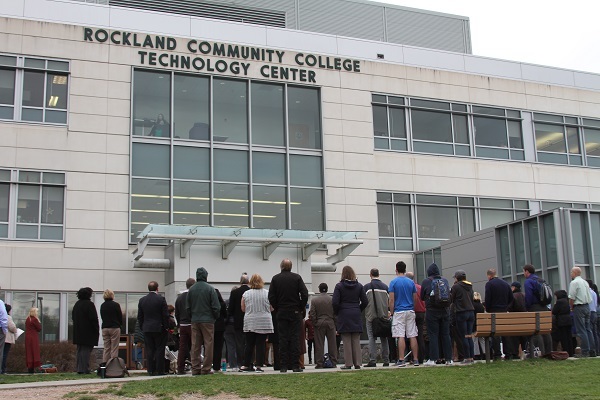 On Wednesday, April 19, Rockland Community College memorialized seven members of the college community who are deceased. This poignant event was sponsored by RCC’s Faculty Senate under the leadership of Professor Josephine Coleman who coordinated the event. Students from the Performing Arts Department provided a beautiful rendition of the National Anthem and “Somewhere” from West Side Story. 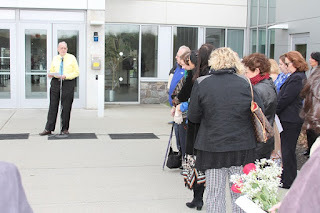 Each of the seven honorees had a plaque in his or her honor placed at the base of a tree in front of the Technology Center. 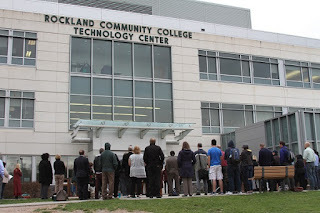 The plaques were a gift from the Rockland Community College Federation of Teachers. A special thanks to RCCFT President Bill Baker, and to Eileen MacAvery-Kane, Art Faculty, who designed the plaques.